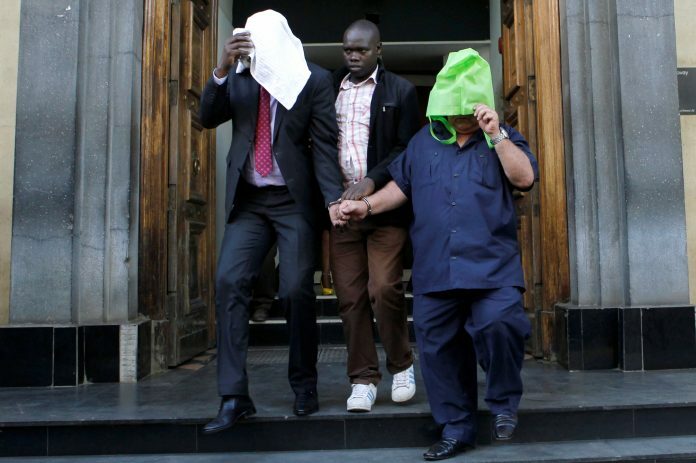 The Kenya Police on Tuesday intercepted $20 million (Ksh2 billion) in fake currency being stashed at a local bank. The money was recovered from a safety deposit box at a Barclays Bank Kenya branch in the capital Nairobi. Three people; one foreigner and two Kenyans, were arrested and are currently in police custody as police pursue more leads. The police’s directorate of criminal investigations pitched tent at the bank branch from morning, combing through the branch that led to the discovery of the cash consignment. Initial reports indicate that a customer had brought in a haul of fake cash. “A customer who holds a personal safe deposit box at our Queensway branch was this morning intercepted by police at the branch,” Barclays said in a statement. Operations at the bank were temporarily disrupted. Banks offer clients safety deposit boxes to store vital documents, jewelry, foreign currency, among others. “The customer had concealed fake currency in his personal safe deposit box against the bank’s rules and regulations which include restrictions of items which can be held in the safe deposit box,” the bank said. Individuals usually take safety deposit boxes to hold crucial items, paying banks a service fee for the same. Contents of the box are only known to the client. The three were ambushed by police officers as they stashed the money. There was a buzz on social media following the discovery with Kenyans intrigued by the haul. Kenya has been rocked with corruption scandals with some pointing to it as a conduit to clean illegally acquired and fake money. This 17 BILLION story DOES not ADD up. It is EITHER a game or COUNTRY is ROTTEN to the CORE and from the CORE. "Barclays Bank"
Standard Chartered Bank and others stopped offering the safe deposit boxes because of the fact that they are prone to abuse. Why did you still allow it? @Barclays_Kenya is complicit here.